This is a shameless copy attempt at Nuba’s famous “Najib’s”, which are little cauliflower pieces spiced up and fried until crispy, then tossed with salt and lemon. Fry if you prefer (I think the restaurant does), but I prefer to bake these to the point where charred edges start to form. Serve it either in a mediterranean style wrap; on a platter with some olives, hummus, and pickled cabbage; or just eat it by itself! 1. Preheat the oven to 425 degrees C. Place a metal baking pan in the oven to pre-heat. 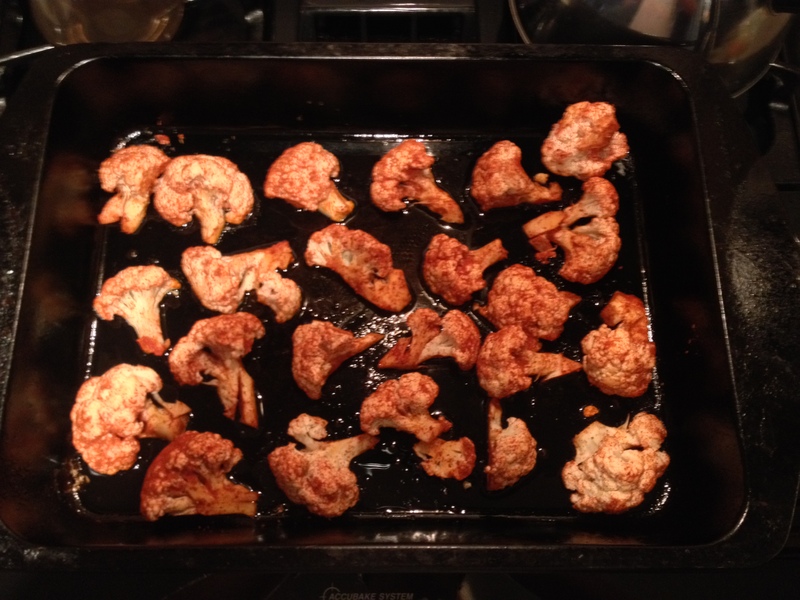 Meanwhile, cut the cauliflower into 1″ pieces, toss in a bowl with the cumin, paprika, cayenne, and olive oil. 2. Remove the pan from the oven after about 5 minutes of pre-heating, and pour the cauliflower bowl into the pan. Make sure the cauliflower is well spaced, otherwise you effectively steam it instead of developing a crispy exterior. Looking from above, you should be able to see the bottom of the pan around each piece of cauliflower. 3. Leave the cauliflower undisturbed for 30 minutes. You will want to bottom edge to develop good caramelization, and a little char, which won’t happen with cauliflower if you keep it moving. 4. After 30 minutes of roasting, now give the cauliflower a toss. You may need to free some pieces with a spatula. Turn the oven to broil on high, and place the pan back into the oven and watch closely for about 5 minutes, or until you are satisfied with the colour. We are just trying to get a little bit of extra char on some of the extremities. 5. Remove from the oven, and toss the cauliflower in a bowl with the salt and lemon juice, and serve. 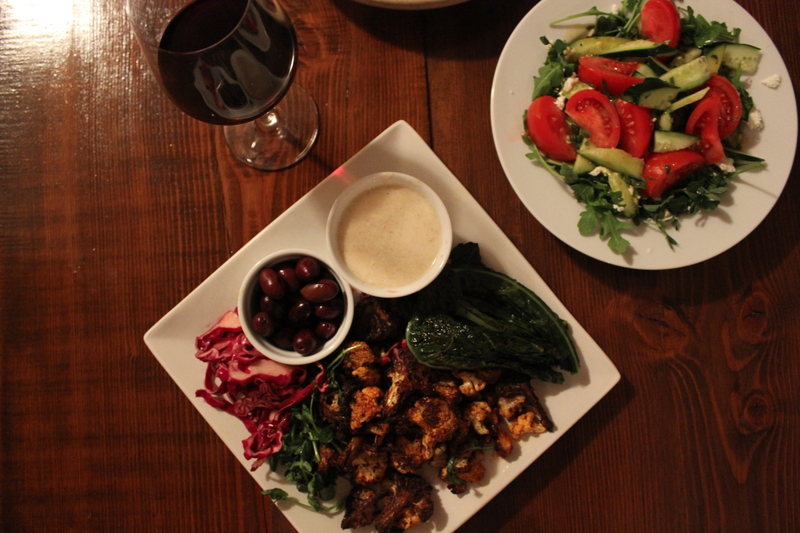 Also, some very nice food pictures on your blog at first glance!